WooCommerce Restrictions guard access. Then, it is Customer Permissions that allow any given User to access restricted content. Customer Permissions can be given by the site owner or obtained through the purchase of a WooCommerce Product; e.g., a Product that is configured to provide a Customer with access to one or more Restrictions. This results in Customer Permissions being granted automatically whenever a Product is purchased. Ordinarily, Customer Permissions are acquired by a Customer automatically when they complete checkout. 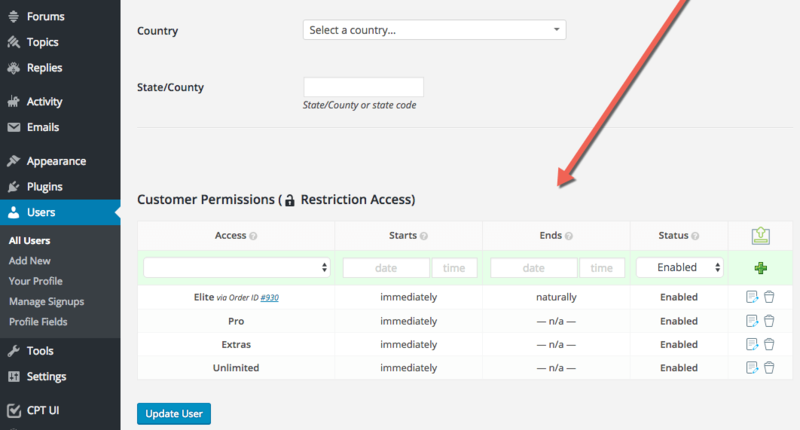 However, you can choose to grant Permissions yourself, at any time you like, and Permissions can be granted to any User in WordPress, even if they're not a paying Customer.